There was a time, before Pyrex and Oxo, calculators and even cookbooks, when rules of thumb ruled the kitchen. 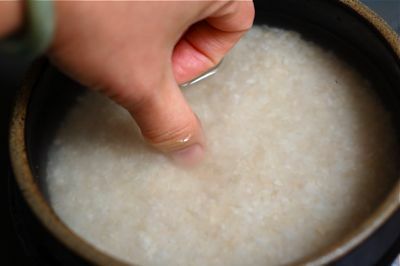 My mother taught me my first one when I was six and still standing on a barstool to reach the kitchen faucet, the infamous and eerily accurate “one-knuckle” rule for cooking rice. Like all good R.O.T., the measures were flexible. It didn’t matter how much rice or what size pot or what kind of stove. It worked. 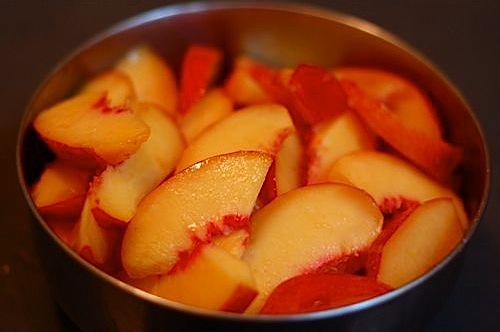 The best summer desserts are simple to make, portable for picnics, and highlight the season’s sweet, luscious fruit. Trifle would be at the top of my own list. While its name might lead you to think that this dish is of little consequence, it belongs in the pantheon of fantastic frugal food, along with panzanella (another wonderful summer dish) and pain perdue (good anytime of the year or day). Back when little bits of bread or cake were far too valuable to toss away, even if stale as a board, cooks invented ingenious ways to use up every last crumb. Dry cake has a way of soaking up endless flavor and, in the process, transforming itself into a silken gift. One of my favorite culinary mash-ups of recent years is the Vietnamese-Chinese-Cajun crawfish boil served with rice or garlic noodles. Following the arc of families moving from Vietnam to New Orleans to Southern California to, finally, San Jose and San Francisco, mud bugs have taken a garlicky turn and shown up, of all places, in Little Saigon’s across the country. Red Crawfish in San Francisco’s Tenderloin is the one closest and dearest to me, as I head over that way anytime I’m craving familiar, comforting flavors. 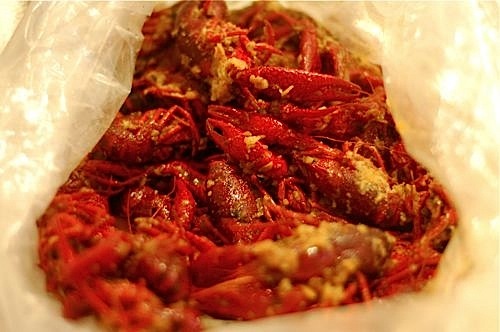 Boiled crawfish is a new tradition among my peeps, but it’s one that I’m very happy to adopt, too. As California’s road trip season begins, it’s time to pull out that list of foods that are worth a detour or two. 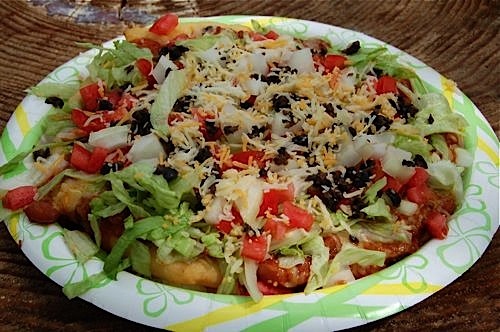 If you’re passing by or through tribal land, allow time in your day and space in your stomach for a stop at roadside stalls offering fry bread or, even better, Indian tacos. Many of us are all a-twitter about the mash-up of Korean bbq and tortillas. But this much quieter and long established blend of taco toppings on soft, still-hot flatbread is better than anything I’ve tasted from digitally hyped menus. Hungry for Change: FOOD, INC.
Last month, Senate Majority Leader Dean Florez, an outspoken leader on food safety and animal rights, hosted a special screening of the documentary, FOOD, INC. for a roomful of legislators in Sacramento. Thanks to a friend who works at the capitol, I was able to sneak in. It’d been a very long time since I’ve been surrounded by that many people wearing suits, and discussing public policy is not one of my favorite ways to make small talk (SBX2 3 or SB 135, anyone?). But seeing this important film with a roomful of legislators who were excited about sustainable food and who could actually institute change was one of the most powerful experiences I’ve had in a movie theatre. You will soon be hearing a lot about FOOD, INC., a documentary directed by Robert Kenner, winner of both a Peabody and an Emmy for his previous film, Two Days in October. Opening in San Francisco on June 12, this latest release by Magnolia Pictures tackles the unenviable job of educating consumers about the agricultural industry. It’s being called the Inconvenient Truth of the food world, and the quality of its production certainly compares well. Super-saturated colors, animation, engaging graphics, a sprinkling of humor to lighten its distillation of immense amounts of information, and a line-up of articulate, passionate speakers all meld into a highly viewable documentary. Author Thy TranPosted on June 12, 2009 April 1, 2012 Categories Culture, Farmers and Producers, Media, SustainabilityTags activism, bay area bites, farmers, food safety, meat, michael pollan, robert kenner, Sustainability2 Comments on Hungry for Change: FOOD, INC.